The cold morning cleared out a few early clouds and the afternoon east of High River was bright under a deep blue sky. I found a couple of Snowy owls across the day with this one’s flight after launching from a telephone pole standing out due to the sunlight catching the yellow eyes brilliantly. A great day on the prairies with these beautiful animals. This entry was posted on January 3, 2016 by Christopher Martin. 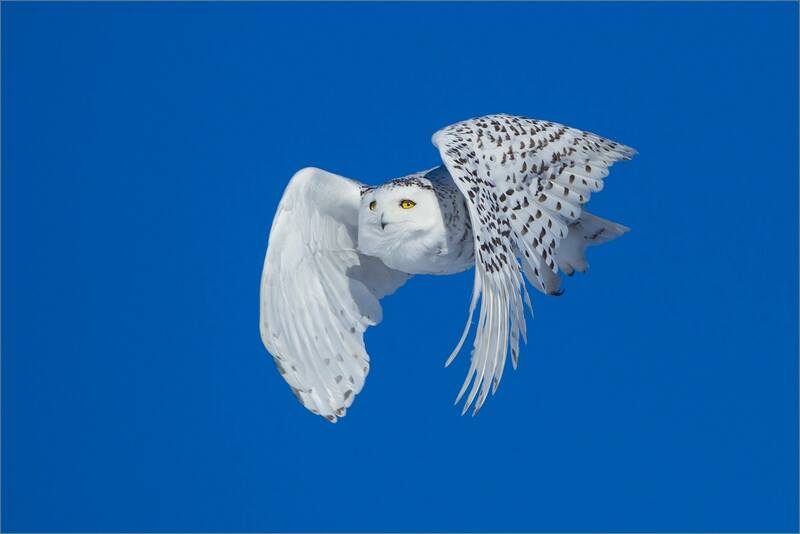 It was filed under Owls, Prairie, Wildlife, Winter and was tagged with alberta, animal, bird, bird in flight, Bubo scandiacus, Canada, flying, High River, owl, photography, Snowy owl, wildlife. Oh my, white owl!!! I love owl but never seen a white one. Would love to see it in real life. Oh thats a stunning shot, perfect combination of all the factors, I would love to have this image in my portfolio! Just a stunning shot. Hats off to your patience to get this beauty in flight. Still on my bucket list. That sounds so cool – did you have time to photograph the owl you saw? YES! 🙂 I’ll show later a picture of it on my blog.